The resorts in Geelong will offer you the ideal base to explore and discover everything that this bustling city offers and no matter where you decide to locate yourself for your vacation you can be sure that you will never be far from the action, attractions and entertainment. Have every little creature comfort of home included in your room and take advantage of the many onsite facilities that will make you wish you never had to leave. 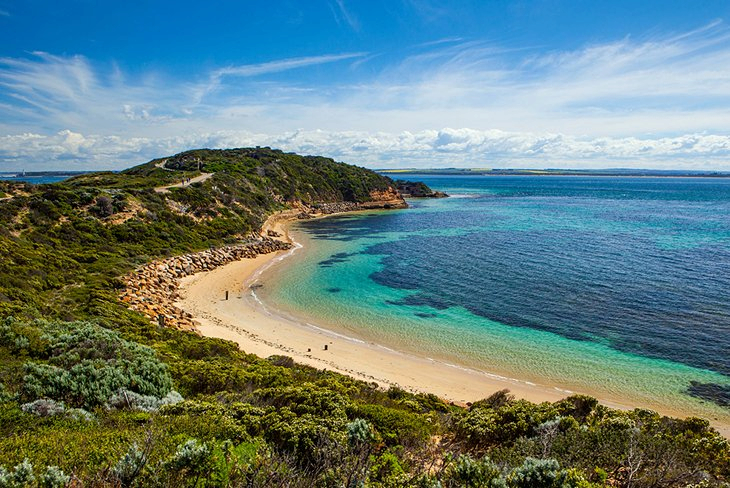 Geelong is a favoured holiday destination and stop over for many travellers, who are either looking for the perfect getaway spot for a family trip, weekend escape or backpacking stop over as well as having many people pass through on their way to the Bellarine Peninsula and Great Ocean Road. The resorts here are scattered throughout the city so you can choose to be right across from the beach, overlooking the waters of the Barwon River, located in the heart of the city where the eateries, restaurants, cafes, shopping and nightlife will all be on your doorstep as well as luxury resorts perched high on the headlands overlooking the stunning coastline. Starting from three and a half star rated properties and carrying on through to five star luxury you will easily be able to stick to your budget when booking your preferred resort in Geelong. Every resort differs from the next, so choose from one, two and three bedrooms that come fitted out with inclusions such as air conditioning, self contained kitchens, private ensuite, balcony or courtyard, plasma TV, DVD and CD player, Austar, laundry facilities, mini bar, iron and iron board. Where ever you do book into your resort room will be the ideal home away from and be somewhere for you to relax and unwind. The resort you are staying at can offer 24 hour reception, restaurant, bar and lounge area, games room, swimming pool, spa, sauna, under cover secure parking, concierge, porter service, lifts, fitness centre, dry cleaning services and may also be wheelchair accessible for your convenience. There are family orientated resorts, resorts that exude life’s little luxuries for those pampering weekend trips away and honeymoons, resorts that boast great function and meeting rooms for all occasions and with a choice of executive suites, studio rooms, deluxe suites, spa suites and family rooms that can all be included into excellent holiday specials, the attractions and activities here in Geelong will not be the only thing that you can look forward to. Relax and indulge in modern and spacious rooms, book into luxury five star resorts that are second to none, have ample onsite facilities that will make you wish you never had to leave, and plan the perfect trip away.... Whatever the occasion! Geelong is a city of many delights and the variety of styles of Geelong accommodation to suit all travellers is just one, so find which resort is perfect for you and book it before it is too late.